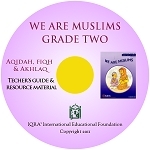 This book has been designed for the elementary level and it covers topics of iman, aqidah, fiqh and akhlaq. 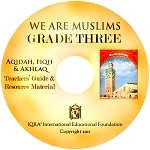 Thirty-one lessons deal in detail with the first two pillars of Islam: the Shahadah and salah. All Arabic text is accompanied by a Latin transliteration as well as an English translation. 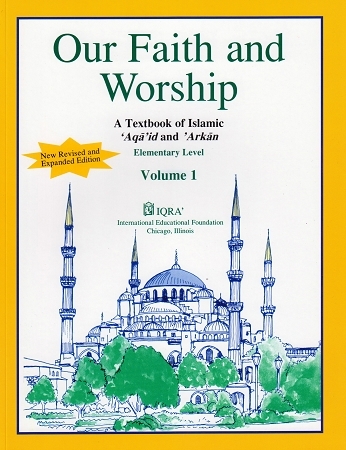 Pictures supplement this comprehensive treatment of the topic of salah. Ideal for Weekend Schools! Great for kids and adults alike, just like the second volume. Would highly recommed this for anyone wanting to learn the basics of Islamic practice. 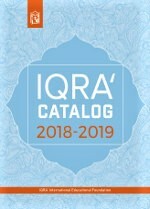 My children and students always enjoy IQRA' books because the way these books are written makes them easy for children to follow and comprehend. And I love how fast IQRA' ships books outside of US. Thanks.